Click on an image to learn more about each product. Calvados is produced in Normandy, on the Channel Northwest of Paris. There are three official areas of of Appellation: Calvados Pays d'Auge, Calvados, and Calvados Domfrontais. The soil in the Pays d'Auge is clayish, while elsewhere it comprises of more granite soils. Calvados is double distilled in a Charentais still for the Pays d'Auge appellation. For all the other appellations, single distillation is a column still is mandated. Mostly Limousin oak is used, however some producers experiment with other woods such as sherry casks. The apples are pressed and the juice is left to ferment in stainless steel tanks, becoming cider. 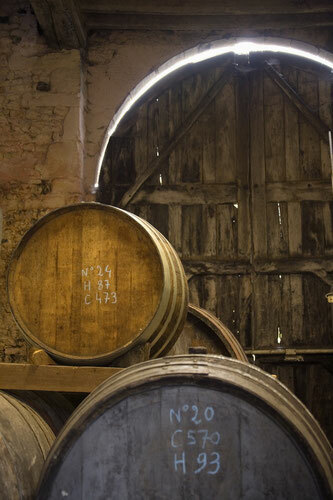 After 6 weeks minimum – some producers age their cider quite longer – the cider is distilled. The spirit is then put into wood for ageing and will later on be blended and reduced to about 40%.